July Blog. Including: Agricultural show, Star Pupil competition winner, Design your dream home competition commences. In this beautiful part of the world there’s always a huge variety of fascinating and fun events on offer. But the highlight of our calendar has to be The Cranleigh Show, a wonderful celebration of rural life and community that we’ve been proud to sponsor since 1991. Set at the foot of the stunning Surrey Hills countryside on the edge of Cranleigh, this year’s show took place on Sunday July 2nd. 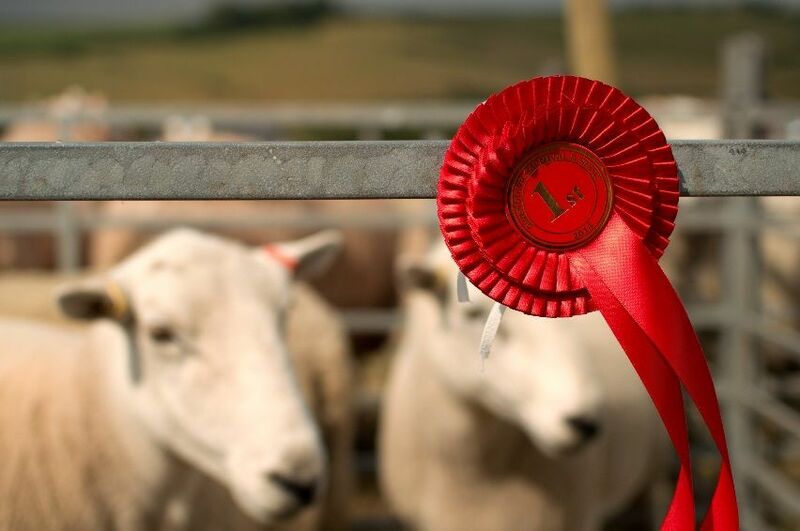 As ever it was a brilliant family day out with so much to do and see, including rare livestock competitions, equestrian events, a kids’ scarecrow exhibition and an amazing artisan food court. At Roger Coupe we love to support our local community - our involvement with the Cranleigh Show this year included sponsoring the magnificent Horse Logging display. In fact it’s fair to say that the Cranleigh Show is something of a family affair for us. Edward Norman, one of the partners, said that his grandfather used to show his Guernsey cattle at the event during the 1950s! Star Pupil competition winners announced! We’re delighted to announce that our Star Pupil award has been won jointly by Sussex siblings Isabelle and Ethan of Rudgwick Primary School. Isabelle (4) and her brother Ethan (6) were nominated by their proud mum Lesley Yeates, who praised them for the positive way they join in with all the inspiring activities their school has to offer. Just to underline the children’s love for Rudgwick Primary, they’ve decided to share their cash prize with the school, so that every pupil can benefit. A £100 cheque will be presented later this month during a special ceremony at our Cranleigh High Street office. Congratulations to our inspirational Star Pupils! The summer competition is for schoolchildren aged 7-16. Entries must be drawn, and can include all the mod-cons their hearts desire, from swimming pools to sunken baths, games rooms to garden getaways and beyond. Designs should be annotated, highlighting the property’s features, location and selling points. Finally, we’d like entrants to include a guide price – so they can test their skills as property valuers too. Finalists entries will be displayed on the digital screen in our Cranleigh branch window. The winner will also see their entry appear on the Roger Coupe website alongside other houses for sale. It will be listed just like a ‘real’ house, with property details, description, room sizes, and a floor plan - all created by Roger Coupe. Entries must be received no later than Sunday 3 September 2017. Each entry must have the following information clearly stated on the back: Child’s name, age and parent or carer’s full contact details.